“An amateur game played at a professional level” was how Colm Begley described Gaelic football this week. “The gap has been closed” between GAA and AFL in recent seasons stated the former Brisbane Lions Rookie of the Year, speaking ahead of last weekends second International Rules test. Echoing Ireland captain Michael Murphy’s comments last week, Begley believes that the only real difference between football and professional sport is that while GAA players are “focused on work or college, anything like that”, professionals can concentrate on rest and recovery. The 2011 Laois senior captain also warned that if the GAA don’t address the problem of burnout in their players, the recent upward trend in physical preparation will result in long-term damage to the game. “If they don’t look at it in the next few years, they’ll see a lot of players retiring at a younger age. Players love playing, but it’s just a massive, massive effort, and very mentally draining for those who don’t get a break”. Begley, who in addition to Ireland and Laois will also represent DCU and Dublin club Parnells this year, pointed to a recent change in AFL preseason training where players will only be allowed train three days a week to prevent burnout as”something the GAA will maybe have to look into”. 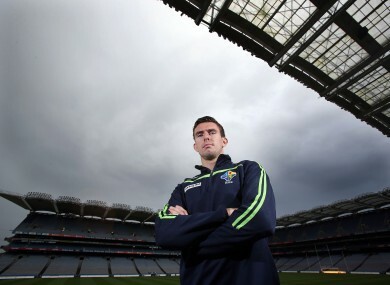 The rise in strength and fitness levels has aided Ireland in the International Rules series however, Colm pointing to the fact that “we’re not being physically out-matched”, players endurance and speed levels on par with their professional opponents. This increase in training has led to a more competitive domestic game as well; “In the past, the top six or seven teams in Ireland would be fitter or stronger, whereas now teams are realising if we cant match them skillfully, we’ll try and surpass them in training, in strength or endurance. We’ll outrun them, out-tackle them. If you can control a players playing ability, skills etc, you can control how fit or strong they are”. “Whatever people say, it is professional”, continues Begley, “The game is getting faster and faster, all the small details are being looked at; Body Mass Index, GPS, stats, all the things that really, in an amateur game, you wouldn’t have to look at, but it’s not amateur anymore, it’s run in a professional way”. While he stops short of calling for professionalism in GAA, Begley does admit he would like to see some rewards for inter-county players. “I’m not sure how they’re going to do it, even its just some form of tax benefit or even expenses being increased a little more. Players don’t want alot, just a bit of a benefit for the effort they put in during the year”. After being nominated for man-of-the-match in the first test match, the Laois man is convinced that the indigenous Australian side will improve in Saturday’s up-coming second round. “They learn very fast. I think they’ll carry the ball, work it into the danger zone and try work off the breaks. I also expect a bit more physicality from them as well”. Ireland carry a 57-35 lead into the second test, to be played in Croke Park at 7PM on Saturday. Is a university degree worth more than an IT degree?